I’m a Seattle transplant. From Virginia to Vegas to points in between – I’ve seen a lot of this beautiful country. But, it wasn’t until I moved to Seattle that the photography bug bit me. And bit me good. 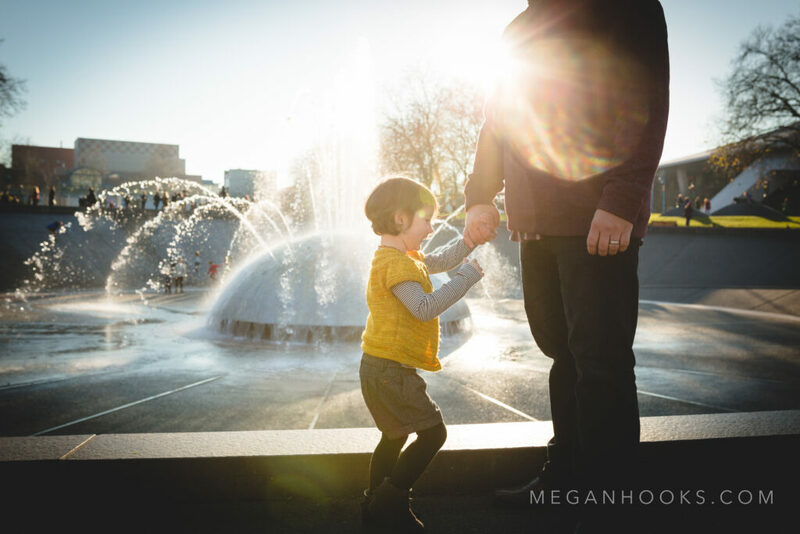 A little over a year ago I started a photography business capturing life’s moments and using the incredible natural sunlight our city provides as my light source. 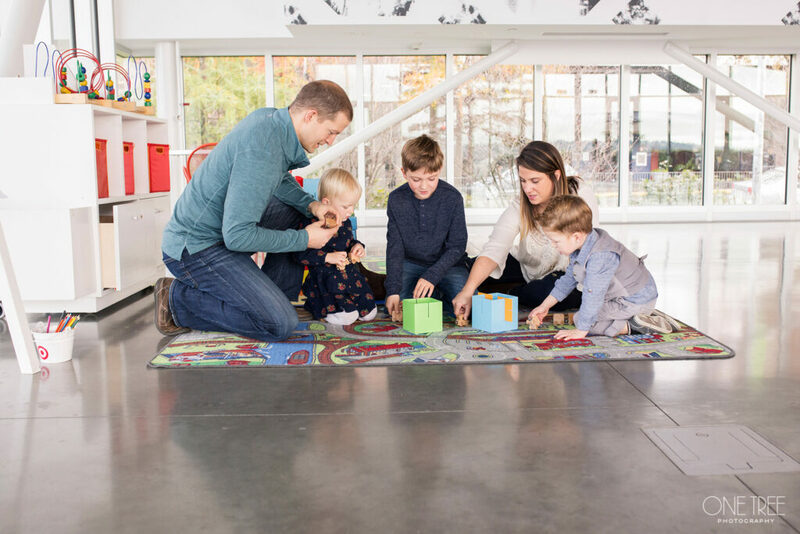 Fall is one of the busiest times of the year for family photographers as everyone wants to get THE photo to adorn their annual holiday cards. Photographers are no exception, we need family photos too. So, this year, I partnered up with a fellow photog, Jessica Peterson of One Tree Photography, and spent a couple days scooting around the city. The Emerald City is so picture perfect we had endless opportunities for our shoot. Jessica chose to have her family’s session take place Thanksgiving weekend. 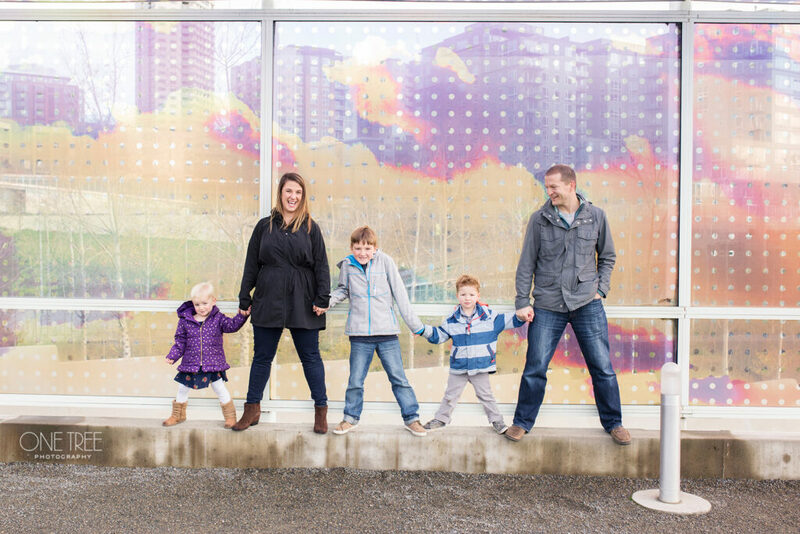 I documented the family’s annual tradition of kicking off the holiday season by staying the night at a downtown hotel and soaking in all that Seattle has to offer. 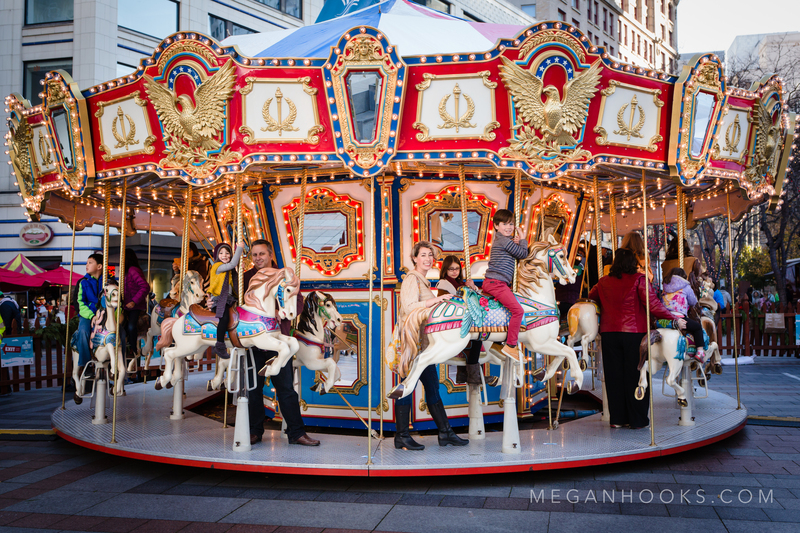 Their session started at Downtown Seattle Association’s Holiday Carousel. 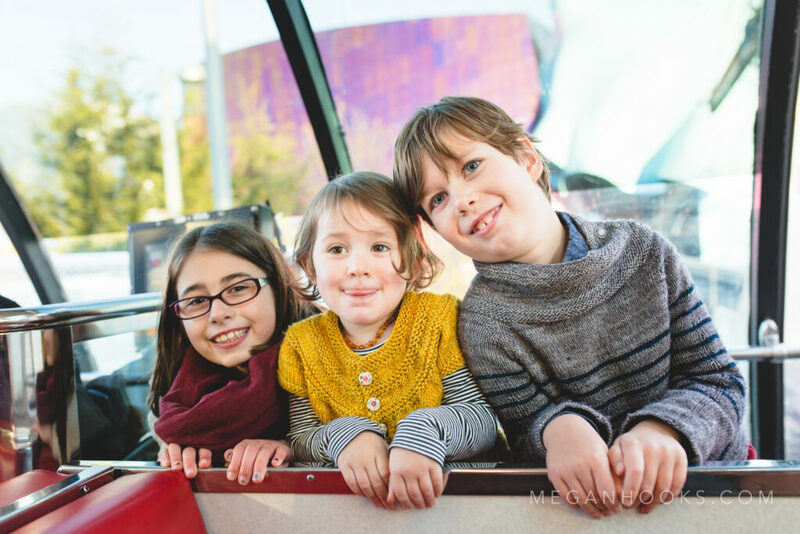 The family then hopped on the monorail to the Seattle Center to soak in the sun by the fountain, eat cotton candy and enjoy the holiday sights. They finished up with a special coffee, tea and hot cocoa treat. I opted for a more traditional portrait session at a favorite urban park, the Seattle Art Museum’s Olympic Sculpture Park and PACCAR Pavilion. The kids enjoyed some fun play time inside the pavilion and then headed out for a light-filled walk around the park. The kids loved running around the park, going down to the waterfront and, of course, watching the trains go by. Each photo session resulted in treasured photos that will now be an important part of our families’ archives, on our walls, holiday cards and as gifts. While each of these sessions focused on the connection of the families, the sense of place, our beautiful city, was just as important.